Funded by the National Institutes of Health (NIH) and designed, developed, and supported by TCG, NITRC is a free, collaborative site and repository of neuroimaging analysis software, publicly available datasets, and virtualized computational environments that can be run anywhere, including on commercial clouds. Initially intended to make government’s research investments available to the public, the broader neuroscience community has adopted NITRC as a way to collaborate, access, and share their resources. 99.97% of NITRC’s code is open source. The code used to build the platform can be reused by other government projects at little to no cost — further extending taxpayer dollars. 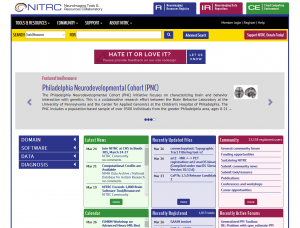 Through aggressive promotion of NITRC and improvements based on user feedback, NITRC has become the the world’s primary source for neuroimaging tools and resources.